The building is fairly new with great amenities: gym, pool area with BBQ, conference room, and computer lab. Rooms have high ceiling with wood floors in the main room and carpet in the bedrooms. Appliances are new and A/C control is very responsive. Floor layout is very spacious with even the closets being large walk ins. For internet, you can get AT&T high speed fiber. Management staff are fantastic and extremely helpful. Some kind of community event is always being put on. The Building is well maintained and maintenance issues are resolved very quickly. You can feel safe returning late at night since the property and parking are well lit with secure access with a resident Houston Police officer patrols the complex. Finding a parking spot is not difficult. Overall, I would give this place a 5/5, especially if you someone who is looking for spacious rooms with new appliances, responsive staff, an active social scene, a well maintained building with nice amenities, and a secure building especially if you return late at night. 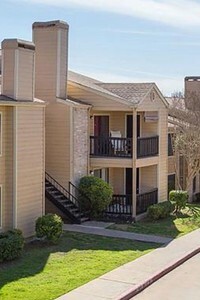 Apartment is brand new and great value but location from UT Austin is bad with a 30-60 minute commute during rush hour. The management does not take safety concerns seriously and ever since Tesla vehicles were parked on the top floor of the parking garage, vehicle break-ins have happened. This place is fine. Nothing great, and kind of pricey for what you get. 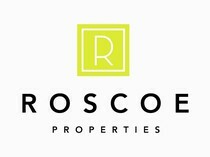 Unfortunately, Corazon is poorly mismanaged by Roscoe Properties. Preventative maintenance is non-existent, so on any given day the elevators are down, the parking garage gates are down, roaches will roam the hallways and your unit, mold will form in the HVAC, leaks will spring from the roof, bbq's are perpetually broken, etc. The construction at Plaza Saltillo has made any of the South-facing units a loud, dust-covered mess. Roscoe has also turned nearly half of the units on the 3rd floor to AirBnB units, which has turned the community into a bunch of rolling suitcases here to party for the night. Worse off, Corazon still hasn't found a way to keep the homeless from sleeping in the stairwells, meaning that when you make your way out of the building in the morning, you'll more often than not find a homeless sleep-over to greet you. All of this said, Corazon could (and should) be much better than it is given the premium you'll pay to live here. Better deals can be found at Eastside Station, Eleven, and the Arnold. Close to green areas as well as commercial zone! Not to be a debbie downer but this is an absolutely awful complex. Management is unresponsive to maintenance requests, there is trash all over the complex property (even though we pay an absurd monthly fee). The gated community does not have working gates, the property is wide open. You really can't beat the location of this building. If you want to happy hour, there's a sports bar next door. If you want a bite to eat, there are amazing restaurants all up and down Congress including Hopdoddy's and Homeslice. This complex is very pet friendly and you meet a lot of people at the pool. Overall great experience. We moved in a couple weekends ago, and we did not have a working stove or hot water. I realized the day before moving in we needed a gas account, which management failed to inform until the day before me moved in (some apartments include gas). We had a few maintenance issues, but they were completed within the week. We will see if that continues throughout the year. The apartment was mostly clean. 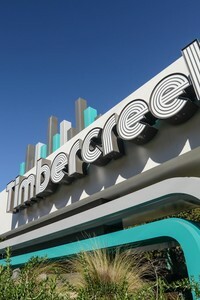 So far management has been helpful, and the complex is pretty quiet in the evenings. Our patio gets night sunlight which is nice too. There is a dog run with trashcans around, and people are picking up. Our gate is kept open during the day but it's probably due to renovations. I haven't run into any problems yet! Love the location of this complex! I was able to get rid of my car and take the bus to work. downtown. It's great being on the Greenbelt, close to Zilker Park and Mopac. The best part of life at Trio is our proximity to downtown (its about a 6-8$ Uber ride, so that's great!) the modern kitchen (granite countertops, stainless steel applicances, and subway tile backsplash and great kitchen sink/fixtures) and easy-going management. Plus, the wood floors and grey-painted walls give it a home-y but modern feel. We're in a one bedroom/one bath for 999$ - not bad for Austin! However, it's not the safest area. Several of our neighbors have been robbed, and one of my neighbors is a dealer (you can guess what I mean, haha) We've got peace of mind due to renters insurance and a large, protective guard dog. If you choose Trio, get insurance and never leave valuables visible in your car & lock your doors! Great location right on south congress. walking distance to hopdoddy's etc. 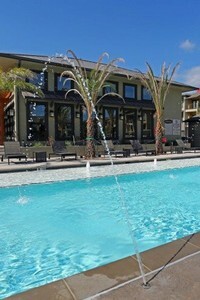 The pool is great in the summertime, lots of fun guests and pool parties. The apartments are huge, especially in three bedrooms like my own. Maintenance is fast, but the management and parking situation is a little bit of a mess. Would recommend. 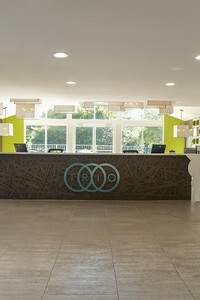 Cobalt is in a great location in central Austin and is only a couple of miles from downtown. The staff are very friendly and considerate. Any time I have had any issues, the maintenance staff have been quick to respond. My apt. was recently renovated, so the appliances are new and there are hardwood floors.